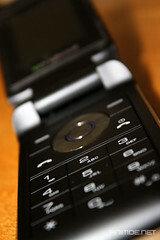 This year our school district changed a policy concerning cell phones used by students. While there seems to be some contradictions, my understanding is that it is ok for students to have and use cell phones on campus, as long as they do not disrupt instruction. While some teachers are still taking phones from kids I decided to try something new. I gave them an assignment and encouraged them to use their phones to do it. Then I told them it was ok to use their phones as long as they were not just texting, Instagraming, Facebooking, or what have you. I promised them I would not give them grief about their phones, if they kept it professional. Yesterday I asked a girl if she thought she might be texting too much. She didn’t argue with me at all. She said “You’re right.” She turned to her friend next to her, handed her phone to the friend and said “put this in your bag and give it back to me after class.” No argument. No disruption. No referral. No calling campus security to search for a phone. Just kids doing their work. It looked and sounded a lot like a bunch of adults working in an office. I like this policy much better. Paper, scissors, and glue. In high school. Yea, About That Charter School Thing.